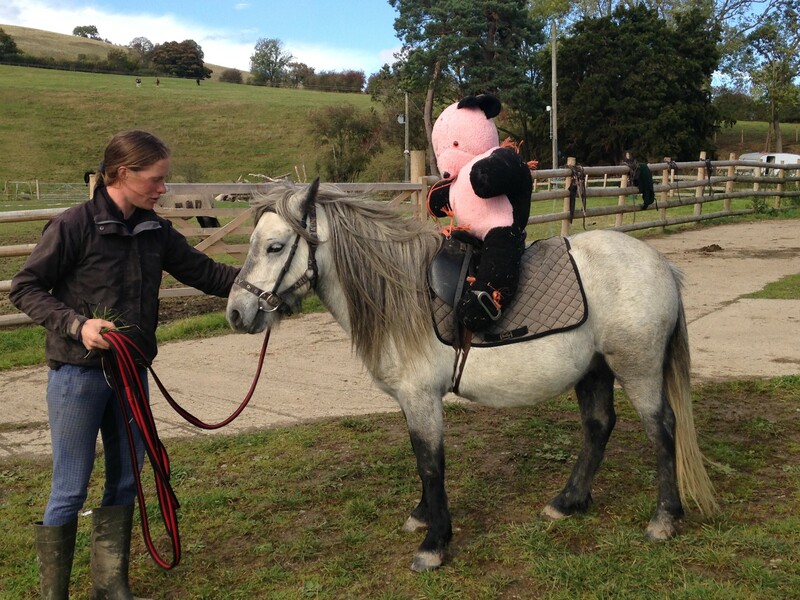 A rescued pony named “Bertie” has been clopping around the fields of Wales with a big pink teddy bear saddled on his back to get him ready for a small human rider. 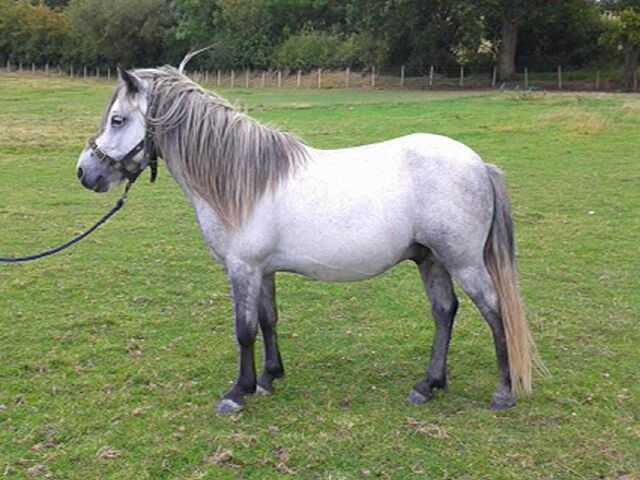 The 3-year-old gray equine is a resident of Totem Horses, a horse and pony rescue group based in Llanfechain, Powys, Wales. According an April press release from Totem Horses, Bertie's original owners planned to shoot him and a few other colts when they could not find anyone who wanted the horses. Gelding -- or castrating -- Bertie was too expensive, and finding a home for a stallion -- or an uncastrated male horse or pony -- can be tricky because stallions are more difficult to train and care for. Bertie hadn’t had much experience with people when he first got to Totem Horses, and the staff knew that to make Bertie more adoptable, he’d have to get used to having a rider. 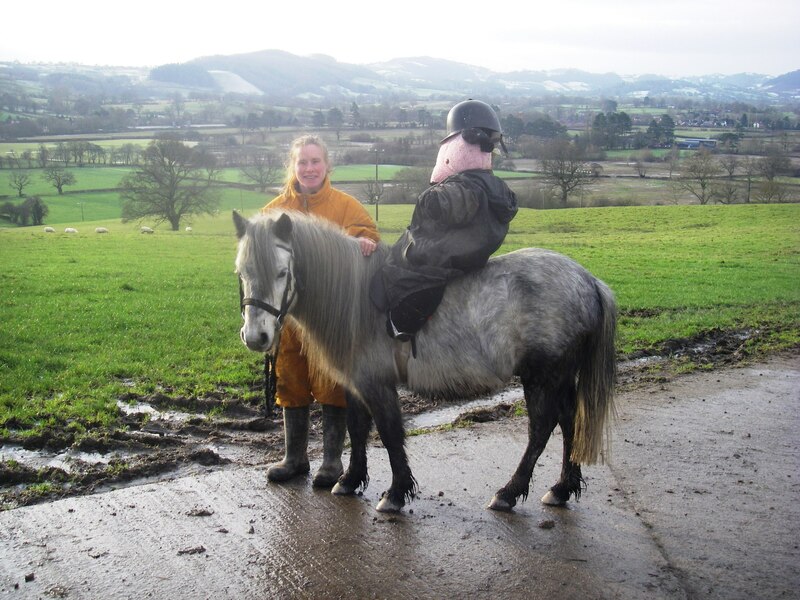 But Bertie’s size means he needs a small rider, and children usually don’t have enough experience to ride a totally untrained animal. That’s where the big pink teddy bear came in. Training horses with mannequins is nothing new, Barr told HuffPost, but the commercially available mannequins were pricey and too big for little Bertie. “We came up with the idea of riding teddy,” Barr said. They made the bear heavier by putting in additional stuffing, she said. 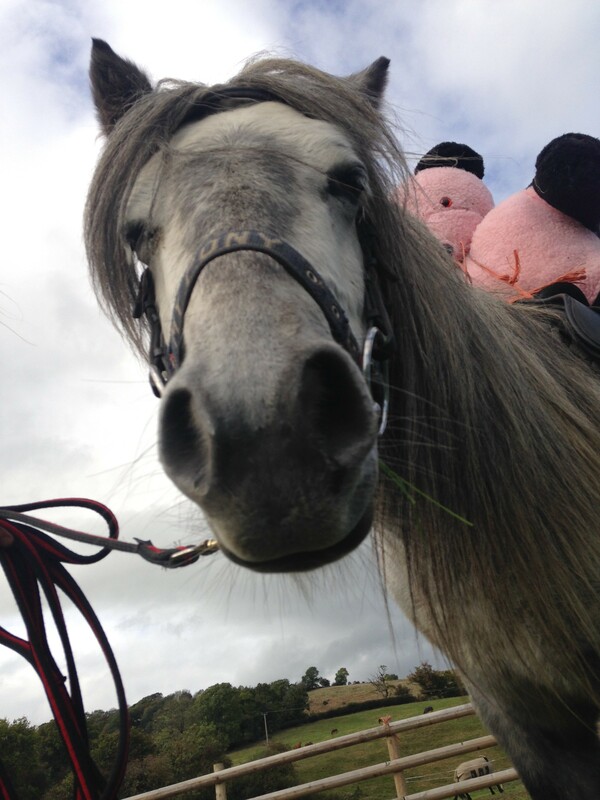 Bertie has been working with the teddy since November, and the “sweet-natured pony” has done so well with the training that he is ready to move on to a small human rider -- and a permanent home, the Totem Horses press release said. Anyone interested in more information on Bertie can learn more here. White Dartmoor Hill Pony, in it's winter coat, in the snow, on Dartmoor in Devon, England. It is probably a mix of Dartmoor pony and Shetland pony as usually only the Shetland type stay high on the moors in winter. Dartmoor National Park, February 2009.